Late last month the New York Times reported that the U.S. Consumer Financial Protection Bureau (CFPB) is urging credit card companies to give customers free copies of their credit scores. Credit reports have been free to U.S. Citizens since 2008. Scores should also be free. When they are, they need to be accessible to people with disabilities. The CFPB should make it a requirement. 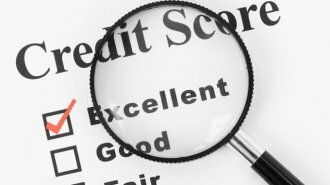 According to the New York Times article, credit scores are “crucial pieces of financial information used to evaluate qualifications for mortgages, credit cards and even certain types of insurance and rental apartments.” It makes sense that they be provided free of charge. Accessibility makes sense too. And it’s already required. The credit card issuers that are being called upon to issue free scores should already be providing accessible information. The law already requires that their websites be developed to international accessibility standards. Their print materials should already be available in various formats for people with print disabilities. A new law isn’t needed to make credit scores accessible, but a CFPB requirement will emphasize the importance of accessible information to all consumers, regardless of disability. Free credit reports have been accessible since 2008. In April of that year, the three credit reporting agencies announced a comprehensive accessibility initiative. The program was negotiated with the blind community through the Structured Negotiations process. Read the 2008 press release. Braille, audio and large print reports, as well as online reports, have been available since December of that year. United States citizens can order braille, large print and audio formats of their credit reports by calling 877-322-8228. Everyone has the right to independent access to their financial information. Privacy is a civil right regardless of disability. The Consumer Financial Protection Bureau can make sure free credit scores are available to everyone, including people who are blind and have other disabilities. I hope they do. This is a post about free credit scores. A government agency in the U.S. is encouraging companies to give people their scores for free. The post explains that the free scores need to be accessible to people with disabilities. Credit reports are already available in braille, large print and audio formats. The online versions are also accessible to everyone. Credit scores should be too. If you want to order a free credit report call 877-322-8228. You can also visit the official free credit report site to get a copy of your report online. These reports do not yet include the credit score.